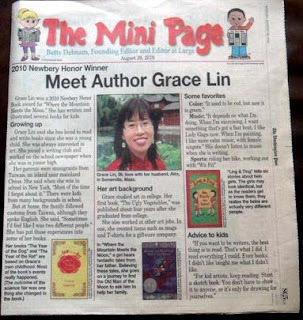 Last week, I was featured in the MiniPage! The MiniPage are the Sunday newspaper supplement for kids, inserted with the colored comics (oh, how I loved those!). 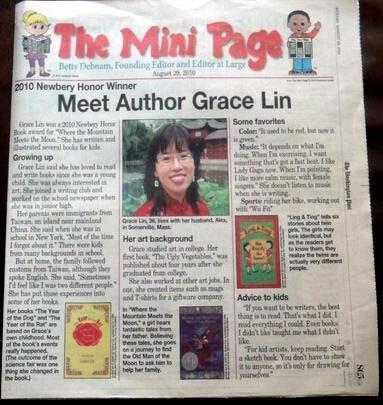 I think my younger readers were more impressed with this than seeing Ling & Ting in the NYTimes. Wasn't in your paper? It wasn't in mine either, but you can download the MiniPage issue HERE!